Colors for Earth Products… are available through the following sources. Licensed CFE Associates and Teachers can easily supply and ship you CFE Products. Your contact with them is only a mouse click away. All studio’s that have completed a 1 week Training Course at the Factory are noted below as a “CFE Education Center”. This course is available to all CFE Color Dealers. All CFE Licensed Associates (Instructor, Sales & Fired Art Consultant’s) have also completed 1 week Factory Training Course along with completion of all other Traveling Associate requirements. They will work directly with you to help you locate the closest studio to you for product or ship directly to you if one is not available. 10486 N. E. Front St.
2264 West 15 Mile Rd. 17098 Pheasant Meadow Lane S.W. Studios – Outside of the U.S.
Ceramics of NY by M & K, LLC. Brennan’s Pride Enterprizes Ceramics, Etc. 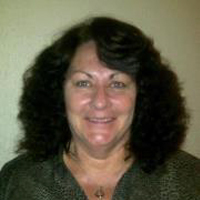 Meet Traveling CFE Consultant from the North Central U.S. Helen Daum. Helen is located in the Minneapolis, MN area. 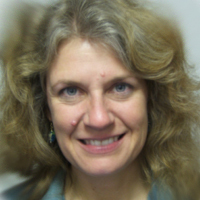 Helen comes to CFE with 29 years of ceramic experience. Helen had a storefront for 7 years and then moved her studio home where she has continued to teach her students for 13 years. Helen is a I.C.A. accredited Teacher and Master Judge. She teaches one day a week at a local studio’s in her area and does other seminars in the area on a regular basis. Helen is now embarking on a freelance teaching career with CFE. Helen holds Certification Certificates from: Duncan, Gare, Fash-En-Hues Translucent Stains and Colors for Earth. Some of Helens Specialty Classes are: Lace Draping with Porcelain, Hand built Flowers with both Porcelain and Earthenware. Contact Helen for more information about bringing the Colors for Earth Colors into your studio. Meet Traveling CFE Consultant Grace Georgian. Grace is located in Puerto Rico. Grace is originally from the island of Puerto Rico and had a studio in Oklahoma City for years. Grace has been doing ceramics on and off since she was 20+ years and loved every minute of it. In the last 10 years she has been more interested in educating herself in the ceramic world that has so much to offer. Grace holds Certification Certificates from: Mayco, Kimple, The Porcelain Place in use of China Silk Porcelain and stoneware. She also is a Duncan Ambassador and Colors For Earth Licensed Associate. She comes to the CFE Team with a great enthusiasm and the love of ceramics. 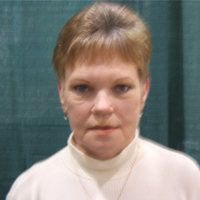 Meet Studio Owner and Traveling CFE Consultant in the South Central U.S. Judy Hazeslip. Judy is from Cabot, Arkansas just outside of Little Rock. Judy started in ceramics in 1959 in Midland, Texas and then moved to Arkansas in 1963 where she really began attending classes, Seminar and Certifications as well as teaching others in surrounding studios and craft fairs. In 1981 she opened her own studio in which she has regular classes and host Seminars and well as traveling to studios to teach. 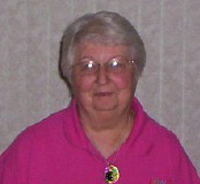 Judy is a member of NCMA and ACA. She has many years vested in achieving Teachers Certifications and prides herself in detail designs. Judy holds Certification Certificates From: Duncan, Mayco, Gare, Dona’s, Kimple and Doc Holiday. She comes to the Colors for Earth Team with great credentials and believes you never quit learning and loves sharing her knowledge in the Fired Arts with others. Marcia owns and operates Glassceramics Studio out of her home in Banning, CA. Originally from Rio de Janiero, Brazil, she has been in ceramics for over ten years. Teaching comes easy to Marcia as she is eager to share her skills and help others find their talents. 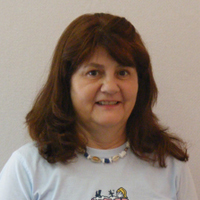 She has earned a Duncan teaching certification and is active in local ceramic groups. Marcia loves to create her own works, always pushing the envelope in trying new twists and turns to get the most out of her projects. In addition to ceramics, she also does wonderful work with glass. She has studied under Tim Harlan of Harlan Art Glass in San Juan Capistrano, California. Continually seeking new education, Marcia is pleased to have become a CFE licensed associate and looks forward sharing her knowledge to help others enjoy the ceramics arts. Meet Studio Owner and Traveling CFE Consultant in the Northeast U.S. Renee Gehman. Renee has been in the ceramic business for 21 years. She is co-owner of Peggy & Renee’s Fired Art Studio, located in Akron, PA.
Renee has been teaching students at her studio for over 8 years. She loves teaching students of all ages but she especially likes to teach children. She believes that children are the future of ceramics. Renee enjoys teaching hand building and hand painting. She as been a One-Stroke Certified Instructor for over 6 years and also holds a Certification Certificate for Kimple Translucents. She has also completed the CFE Teacher training. Renee has drive and determination for Fired Arts and we welcome her to the Colors for Earth Team. Musette Young has been involved in clay and ceramics for over twenty-three years. Musette maintains a production line of stoneware and raku pottery, selling to both retail and wholesale markets, since 1984. Her ceramic training includes taking classes at the Rhode Island School of Design, and studying with such potters as Ken Ferguson, Victor Babu, Biz Littell, and Paul Soldner. Musette has been teaching wheel- throwing/slab building with clay since 1987. She also added teaching ceramic decorative techniques, along with raku and horsehair firing to her resume in 1998, and has been teaching these ever since. Musette has taught in Nevada, Colorado, California, Arizona, New Mexico, Oklahoma, Louisiana, Florida, and Australia. Musette has been a Duncan Ambassador since 2000. She has published solely/jointly nine magazine articles in Popular Ceramics, between 2000 and 2003. Musette is a certified ICA judge, and has been judging ceramic shows in various areas of the country since 1999. Musette’s love of ceramics is summed up best by John Cheevers: “Art is the triumph over Chaos.” This is nowhere more true than taking a bucket of mud and producing something lasting, beautiful, and even functional. She comes to the CFE Team with a great talent and knowledge. She is involved with our Raku development along with Production Ware development and other projects. Studio Owner Plus… Sally Suiter has successfully operated a Ceramic Studio for 28 years.. in Pittsboro, Ind… a suburb of Indianapolis. Her experience in the industry gives her a wealth of knowledge from studio marketing to classroom tried and true tips which she gladly shares on her web site. Her expertise in working with kids in ceramics is outstanding. Sally successfully uses the Colors For Earth Fired Art System in her studio and will be glad to share ” What Works For Her” in detail. Sally is a very important member of our CFE Family. She keeps us on level ground and provides valuable information of what does and doesn’t work in the studio store and classroom. Sally will happy to tell your how Colors for Earth benefits today’s Ceramic Studio. Cindy Israels has been involved in ceramics for 24 years, along with canvas artistry, and glass. 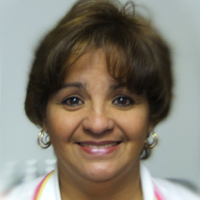 Cindy has been teaching for approximately 15 years in Michigan as well as Texas . 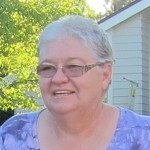 Cindy holds numerous certifications in Gare, Duncan and Mayco. She has worked extensively with acrylic mediums and techniques also. 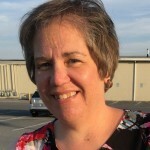 Cindy loves working with children and adults and finds great satisfaction in helping students accomplish new techniques and develop their own style. 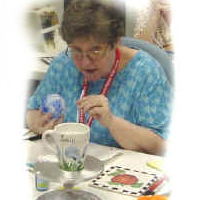 Cindy operates Arts on Fire home studio featuring pottery, glass and jewelry workshops. Call for appointment and class times.